When you make the decision to go Hino, it’s about much more than just a truck. 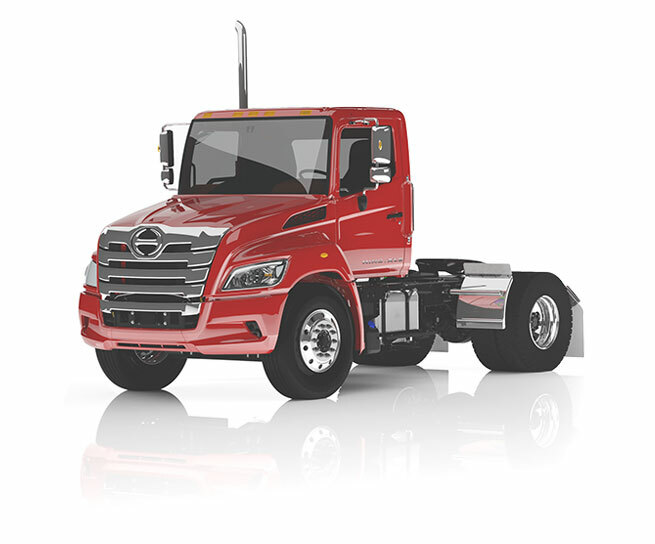 Hino’s customer support comes in many forms: The peace of mind in the industry-leading warranty, free roadside assistance, preventive maintenance coverage, a comprehensive telematics solution to optimize your fleet efficiency just to name a few. Funding of up to $35,000 is available through the Standard Truck Replacement Program or up to $7,500 through the HVIP program. Good things come in small packages. Great things come in small, powerful packages. The newly introduced Class 4 Hino 155 is powered by Hino’s award-winning 5-liter J05 series engine rated at 210 HP and 440 lb.-ft. torque. It comes available in a standard cab and also a crew cab (155-DC) with seating capacity up to seven for the whole crew. The 155 is up to the toughest of tasks with best-in-class frame yield strength of 56,900 PSI while still providing the benefit of a tight turning radius to get you in and out of the tightest of spaces. Total support, brick by brick. 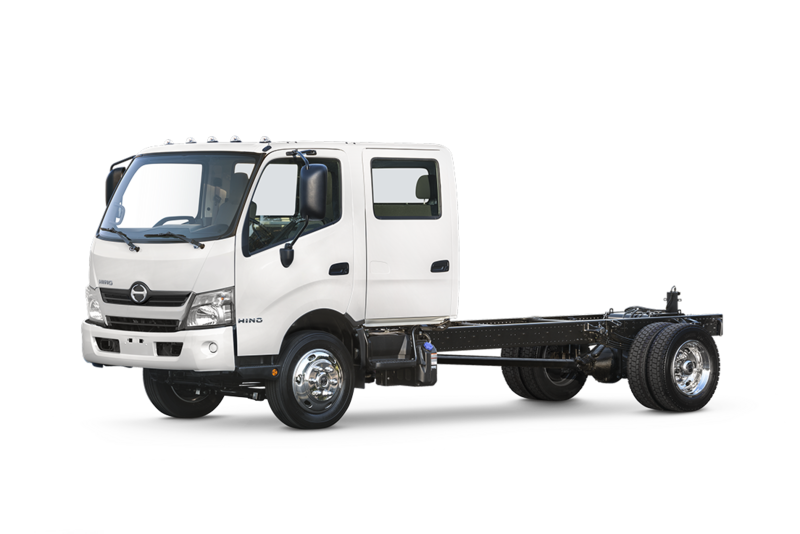 The Hino 195h-DC is the double cab configuration of the medium duty 195h. The 195h-DC provides seating capacity for up to 7 workers which can reduce the number of vehicles needed on the job site. Fewer vehicles mean less fuel consumed. 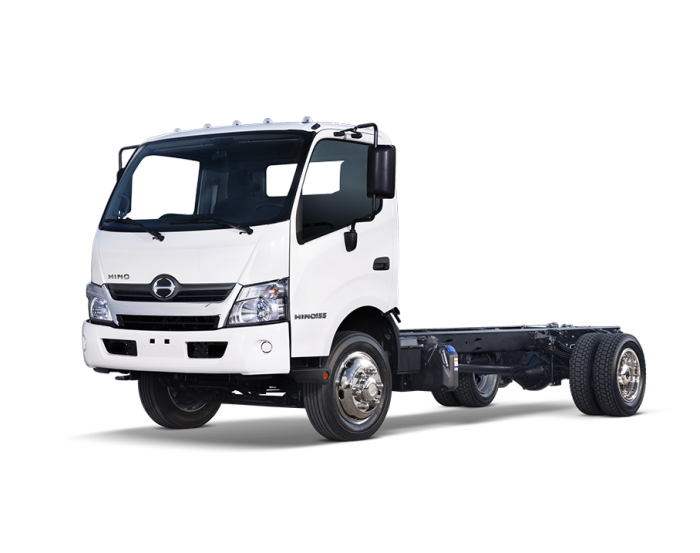 More crew seating in combination with Hino hybrid technology means the 195h-DC will not only benefit your operating budget but the environment as well with a reduced carbon footprint. The Hino 238 defines what it means to be a delivery vehicle. With a 23,000 GVW capacity, the 238 combines outstanding fuel economy with Hino’s long list of competitive advantages including warranty coverage and an unsurpassed B50 engine life. When you need cubic capacity, but not maximum weight capacity in a class 6 vehicle, the 238 provides you with low cost of ownership and unmatched reliability. Like the Hino 258LP the 258ALP provides a low profile platform ideally suited to a number of vocations in urban environments. But the 258ALP advantages don’t stop there; the “A’ designation stands for Air Brakes. So the 258ALP provides all of the benefits of the 258LP, with the added performance and stability of an air brake system. 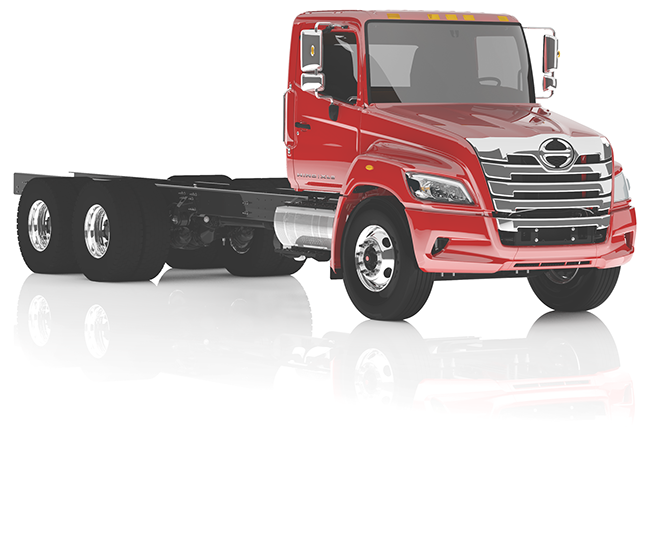 The Hino 258LP is specifically designed for low profile applications like towing. 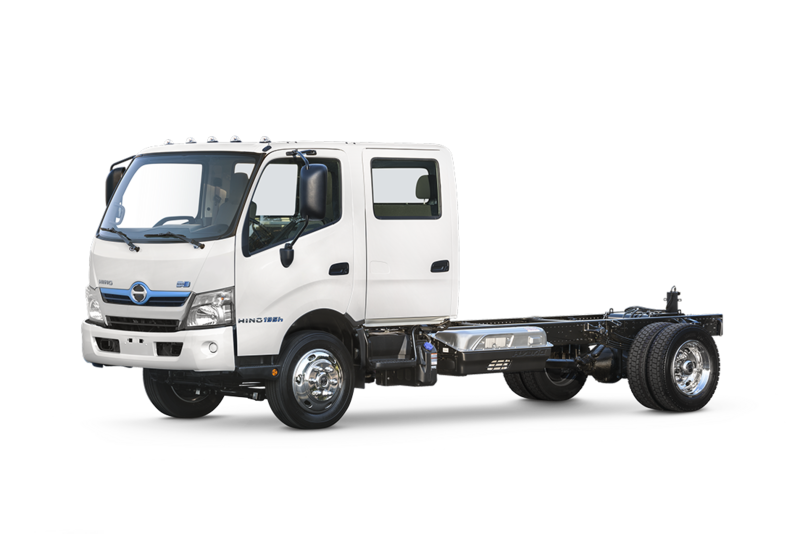 Maneuverability, fuel economy and outstanding visibility make our 258 family of trucks the preferred choice for tow recovery professionals nationwide. The industry leading warranty, B50 engine life and 24/7 HinoWatch roadside assistance provide our customers with the peace of mind to know that Hino has their back. Read below to learn more about the Hino driveline, standard telematics, 24/7 roadside assistance and cab design. THE LEGENDARY TURBO DIESEL With a proven track record, the state-of-the-art Hino A09 Turbo Diesel engine powers the new Hino XL7 and XL8. Renowned globally for driving performance, economy, durability, and reliability. Nothing has been left to chance. That’s the Hino way.